Everywhere you look these days are references to the farmhouse décor aesthetic. 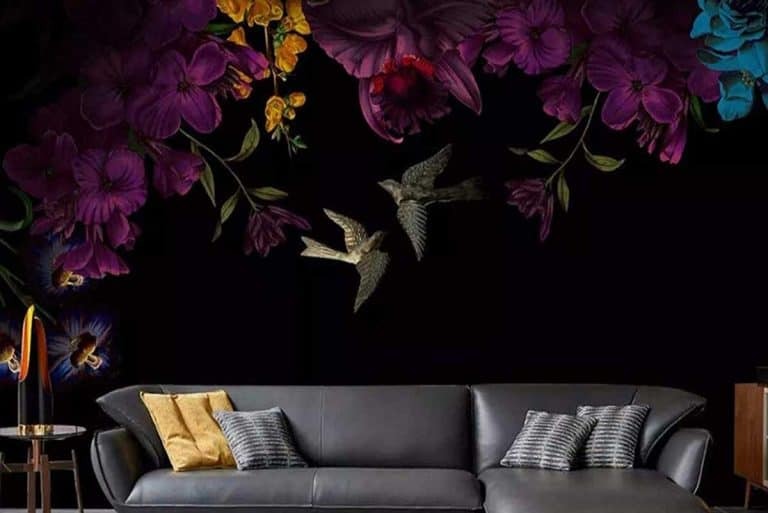 From television to magazine articles, this decorating style is hard to miss. But what exactly is farmhouse decorating? 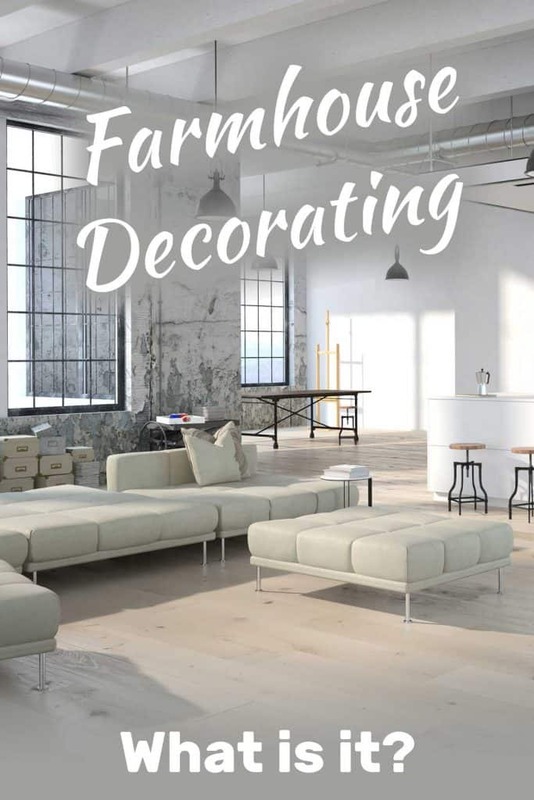 Farmhouse decorating is a popular home design style which emphasizes light and open living spaces that are functional and comfortable for a busy family. Farmhouse decorating is all about having bright, airy spaces filled with love, vintage or vintage-inspired items that add warmth and character to the home. It is important to not be too literal by using items like pictures of cows and rooster wallpaper (I had a house with this on the walls!). Instead incorporate items that are practical and useful, as well as easy for a busy family to function around. Homes decorated in farmhouse style, typically have walls that are painted white or very light neutral tones. The idea is to create a very open and airy feel while creating a beautiful backdrop that does not compete with the other design elements. As you can see in the picture below, the room is very bright, which give plenty of contrast to the black and metal accents, while allowing the rustic wood floor and tabletop to really shine as focal points in the room. Beautifully finished wood flooring is a staple of farmhouse decor, as most real farmhouses originally had hardwood or pine flooring. A lucky homeowner can still salvage these old floors by having them refinished, or even painted. For those of us who are not fortunate enough to have original plank flooring, there are a lot of great commercial options that can provide us with a similar look for a fraction of the costs. Admira has several color options of a vinyl flooring that mimics the look and feel of wood in a product that can be installed over top of your existing flooring. Whether original or installed as a design choice, shiplap brings a touch of history into a modern home. Old homes built at the turn of the century were sometimes constructed from kits with plank walls, which were covered up at times and styles changed through the years. Exposing these planks and using them as a focal point in a room either cleanly painted, or left in their original condition for a more rustic feel is an important element. If your home does not have wooden plank walls, there are lots of kits that you can purchase to recreate this look, like this kit by DPI. The earmark of farmhouse decorating is creating a space that is both beautiful and functional. 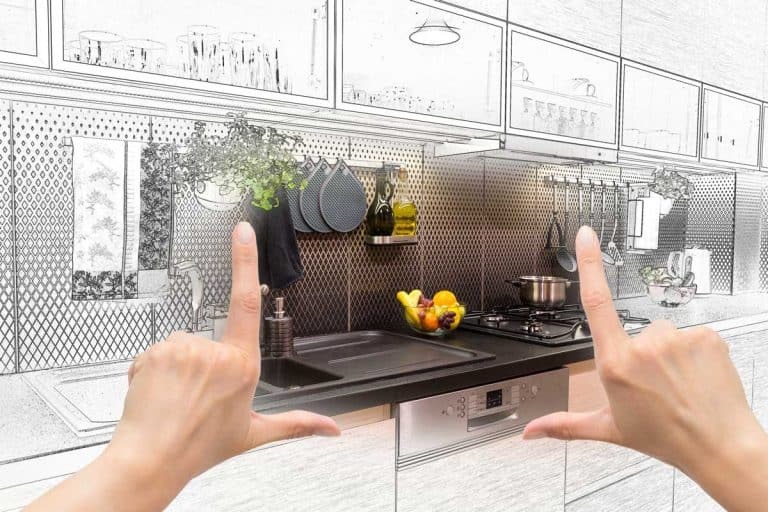 Everything from room design to furniture choices should meet these criteria. Cushy slipcovered furniture with giant pillows is a must for a farmhouse style home. Comfortable and easy to clean is a fan favorite, especially when crowned with such charming design elements like this sign. Open Storage and lots of cabinets is an absolute requirement. Show off your vintage collectibles, or beautiful glass or china on the open shelving, while storing your more utilitarian pieces behind closed doors. Throw in a massive island perfect for casual gatherings and your kitchen will be stunning. To create a farmhouse feel in the bedroom, keep the colors of your linens light and bright, including white and light blues and grays. Soft quilted bedding on an antique whiteiron bed frame keep it simple and peaceful. Choose accessories carefully and be careful not to overdo it with them, as less is more, especially in a bedroom. A busy and cluttered bedroom is not restful and relaxing. Your dining room or area should be a warm and welcoming space where family and friends can gather in comfort for meals. A large wooden farm table surrounded with sturdy comfortable chairs are a must, as well a a beautiful light fixture to shed light on the festivities. Turn your bathroom into a rustic getaway by painting walls a light color or installing board walls, then accenting with natural wood and fluffy white towels and curtains, as well as a touch of greenery. Adding industrial pieces into your home decor helps to keep the farmhouse look from being too sweet. It adds a bit of edgy hardness to the space and can be incorporated in any number of ways. These vintage chairs are a perfect example of how iron trim and scarred wood can add character and a sense of history to a room. Axiland’s Industrial metal light fixture is a really cool way to keep your farmhouse look from being too delicate or old fashioned. Add a shelving unit with brushed metal piping to give your decor a bit of utilitarian flair. This shelf from Furniture Pipeline is a perfect example. Natural fabrics and materials are what adds a lot of the softness to the look. Cotton and linen are used in a variety of colors and prints to provide color and warmth to rooms. Clean white cotton curtains keep the feeling of the room light and airy, while providing some privacy. White cotton comforter and fluffy pillows are the perfect foundation for a comfy and dreamy bedroom. Get this look for your bed with a crisp 1500 thread count Egyptian cotton duvet set from HC Collection. 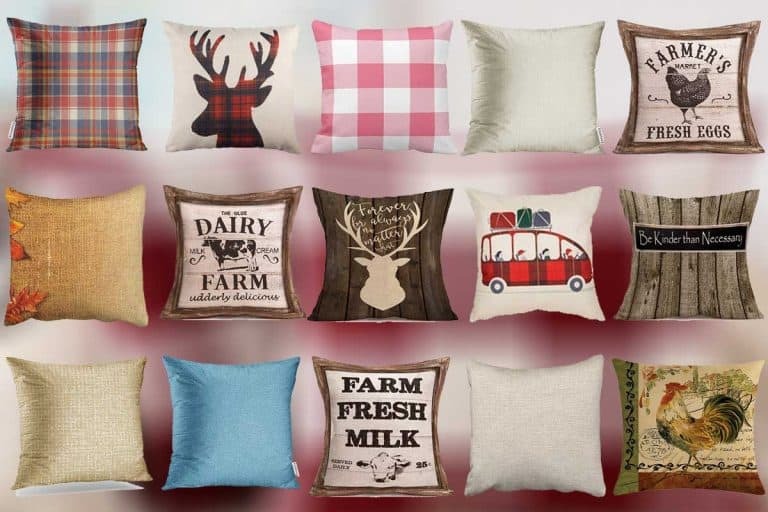 Buffalo check prints pillows or curtains can instantly upgrade your room with farmhouse flair. This classic print in red and white or black and white are synonymous with farmhouse decor and thus is a must have. A charming cotton rug can help keep your rooms from feeling too stark and cold, while providing protection for the wood floor. Woven Baskets are a commonly found accessory in a modern farmhouse. They are sturdy and provide storage for the odds and ends of a household. Use baskets like these to store throw blankets, magazines, or toys. .
Their earthy tones go well with the aesthetic, and they are fantastic for corralling lose items that you want to keep handy. Throw blankets in soft sherpa or chunky knits are great ways to add warmth and comfort to a room as well. There is nothing like snuggling up under a soft throw in front of a crackling fireplace while the snow falls softly outdoors. Whether you have vintage items that have been passe down from generation to generation, or you love to scour flea markets or yard sales for beautiful items that spark joy, these items add the lived-in look that is a large part of farmhouse decor. Recreate his vibe by incorporating items and furniture that you love into your rooms. Vintage furniture is easy to find, but since no two pieces are the same, it can be hard to find exactly what you are looking for. If you cant find the piece that you want, there are a lot of artisans who specialize in creating vintage looks from non-vintage or just plain ugly pieces of furniture. China cabinets are frequently redone, as they have a big impact in a room, and are wonderful for displaying milk glass dishes or other loved items. If you are handy, you can even create this look yourself by painting and distressing the right items. Vanities are also a great choice as they add a vintage look to a bedroom. They are super easy to find at flea markets or second hand stores. This is where is gets really fun! Vintage and vintage looking accents are the icing on the farmhouse cake. Just be careful not to overdo it as the overall look should be clean and uncluttered. If you don’t have anything special that speaks to you for display, there are also lots of great vintage-inspired pieces for sale. Milk Glass is highly collectible and fits in perfectly when displayed in a rustic china cabinet or distress shelves. It is easy to find at second hand stores or yard sales. This glassware is sturdy and easy to use for any season. This vintage wall display can add a touch of the farmhouse to an otherwise basic expanse of wall. Colonial Tin Workshop has created a unique towel rack that makes it easy to create a farmhouse feel to either a bathroom or kitchen. If enough light is available, it can double as a planter too! An antique looking metal clock can go along way towards adding to the vintage feel of your living or dining room. The dark metal is a stark contrast to white or light colored walls so it will really pop. Sign, signs, signs! Use these to add your own personality into your decor. There are millions of different signs for sale with millions of different sayings, from faith-based scripture to irreverent puns. Pillows with sayings are a nice touch, as are chalkboards that you can customize or use for family organization in addition to being decorative. A few samples that are very popular are signs personalized with family names, scripture, vintage retail, or creative or funny sayings. Below are a couple of examples that show how using signs and other items with sayings can add just the right touch to your decor. The stark black and whiteness of this nook get a bit of softness from the cursive writing on the china, as well as the well worn patina of the sign. This sign reminds visitors that this is HOME as soon as they step through the door as part of a romantic display. The saying on this sign is a positive affirmation for the day. Another great way to add personality, as well as improve communication and family organization is a cute chalkboard. Change the message according to the season, or use it to keep track of family schedules, or grocery lists, etc. Careful and loving incorporation of the above design elements will be sure to result in the farmhouse inspired home of your dreams. Just remember to keep it bright, comfortable and livable, and fill your home with items that show your love for home and family. That is the real heart of farmhouse decor. 15 Rustic Throw Pillows That Will Give Any Room That Country Style Chic!